On one of the Nuggets’ last offensive possessions of the game, Harris got absolutely walloped in the balls by LaMarcus Aldridge. 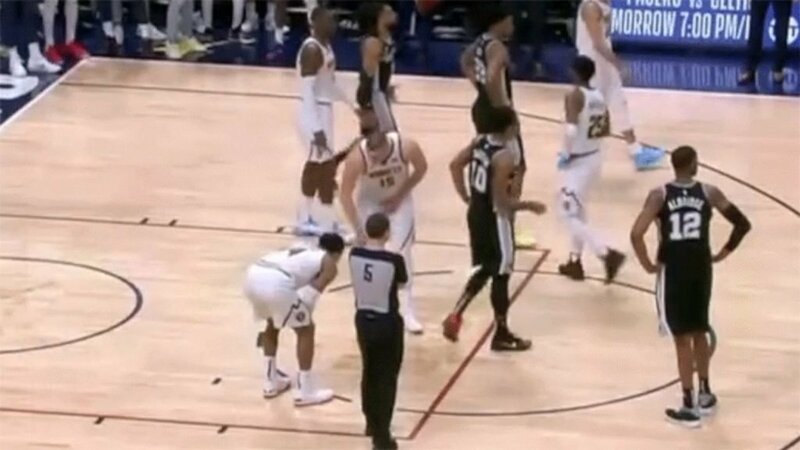 The pain was intense enough that Harris fell into a crouch on the defensive end of the floor, and needed a few moments to collect himself after a foul stopped the game. Luckily, his good buddy Jokic was there, ready to share a special Serbian technique for fixing damaged nards. The nature of the technique is simply this: cup those sore nuts and jump up and down a little bit. You couldn’t ask for a better teammate or friend.